Even though it’s inspired by the simple and soft-spoken Monarch, Nike has been going full-on maximalist with the new-jack M2K Tekno as of late. Adopting a “more is more” design ethos with everything from bright and bold colors to eye-catching materials, the Tekno is certainly nothing if not a head-turner. Now, it’s surfaced in what’s unquestionably its wildest makeup yet: a combination of translucent paneling and animal print. 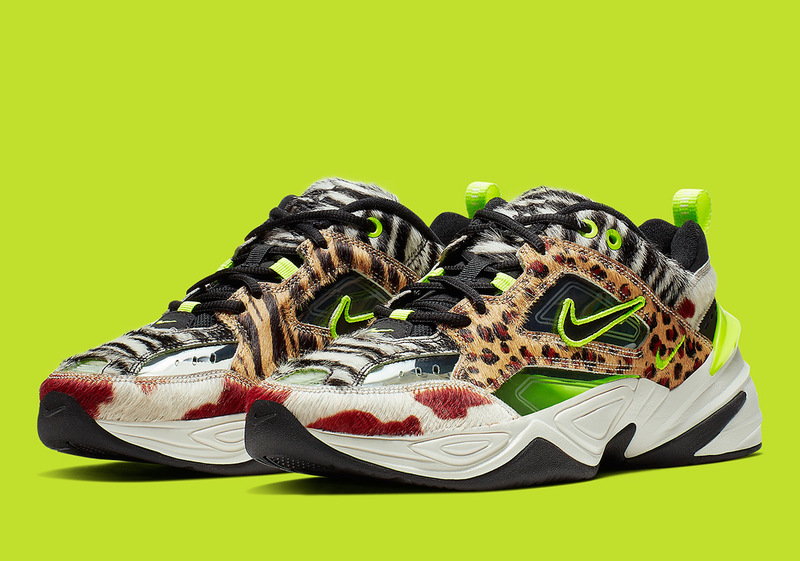 The overlays feature detailing somewhat reminiscent of the multi-paneled animal embellishments on atmos‘s beloved “Animal Pack”Nike M2K TEKNO Sale, offering everything from cheetah to cow print. The see-through base is just as wild as the accents too, calling upon a transparent plastic that shows off the neon green insole. The shoe is then completed by a straightforward chunky white midsole with neon green accents and a black outsole.